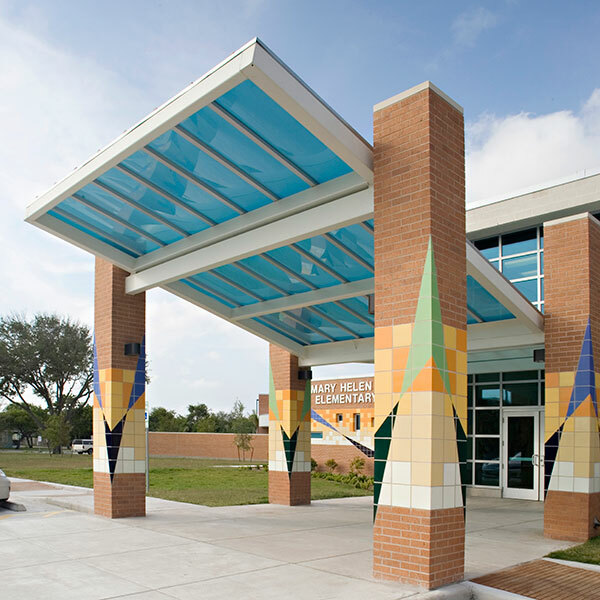 The new Mary Helen Berlanga Elementary school was a replacement for Carroll Lane and Casa Linda Elementary schools. 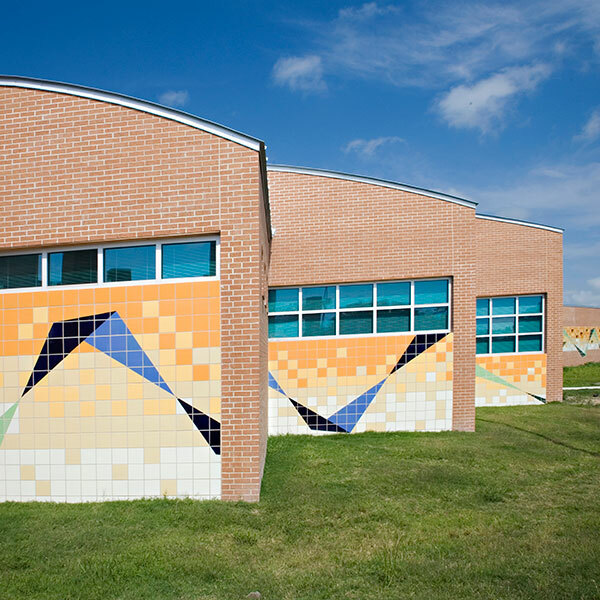 The new building was built on the former site of Carroll Lane Elementary. The new school has 77,000 sf with 40 standard and specialized classrooms, an art lab, science, music and computer labs, library, food service, administration and a covered pavilion that serves as a basket ball court with an adjacent playground area. The exterior of the building has glazed block plus brick veneer. The interior features terrazzo floors and painted graphics. The corridor’s vaulted plaster ceiling is painted blue to imitate the sky. Clerestory windows run the length of the main corridor, allowing the corridor to be filled with natural light. Other corridors have skylights that allow additional natural lighting. 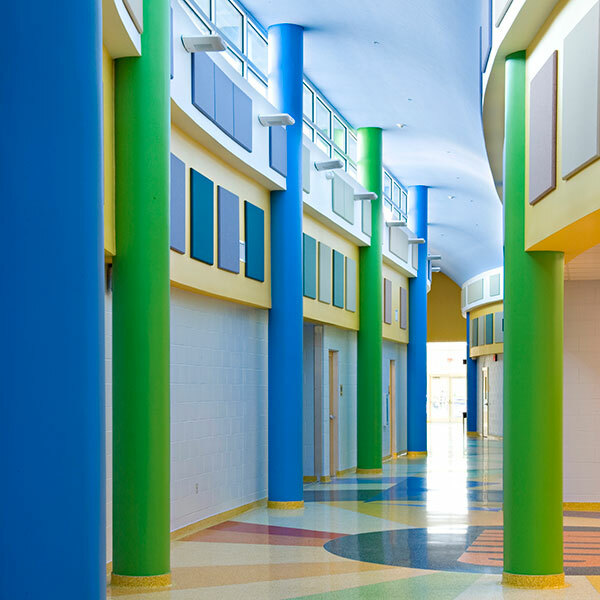 Each corridor is color-coded by each grade level for a more organized and colorful school.